Badem is a fully featured, Smf template built with Bootstrap 4, HTML5, CSS3 and JQuery. Badem is also available in PHP and Ajax version. It’s a minimal responsive. 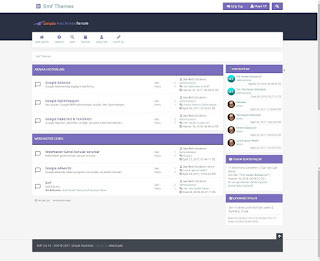 Free & Premium Responsive Themes for SMF. Do you have a live demo? I did notice a issue though. On mobile you cannot click the home link in the menu. please how can i make the theme full width? Can you provide a link to your copyright-visible SMF forum? Page created in 0.52 seconds with 18 queries.